Walled Lake James Hardie Siding | Walled Lake James Hardie | Walled Lake James Hardy Siding | Walled Lake James Hardie Fiber Cement SidingMcGlinch & Sons CO. Ever since 1917, McGlinch & Sons Co. Home Improvements has been distributing the most significant James Hardie Siding that our customers from all over the Greater Detroit Metropolitan Area and Southern Michigan are looking for! McGlinch & Sons is a well-known family-owned business that offers four generations of skill and specifics for this industry. Our main concern and a major contributing factor to our wonderful customer service is 97 years in this business. We are known for our expertise and the products we carry such as, James Hardie Siding and all different facets of exterior construction. To bring some glamour, protection and strength to your home while also increasing your homes worth, then James Hardie brand is your answer! America’s #1 Brand of Siding is James Hardie and we supply it right here at McGlinch & Sons! James Hardie Fiber Cement Siding is resistant to whatever Mother Nature brings its way and many people need to protect their homes. So when the people of Walled Lake are searching for James Hardie Siding products they reach out to us because we have an abundance of choices for everyone’s liking! HardiePanel Vertical Siding (traditional board-and-batten look). If you have James Hardie Siding you won’t have to be troubled about damage to your home. As Hurricane Sandy demonstrated to people on the Eastern Seaboard, James Hardie Siding is hurricane resistant and can protect your home from Michigan’s severe windstorms, hailstorms and tornadoes that can brutally damage your homes. 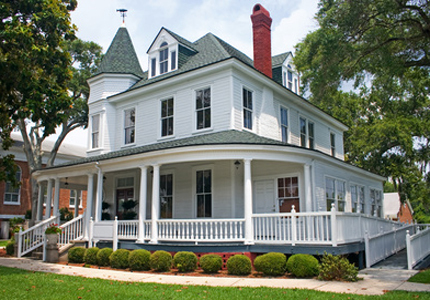 McGlinch & Sons’ James Hardie Siding can go over and beyond what vinyl and wood siding can do! James Hardie Siding is also fade resistant, noncombustible and weather resistant, plus it’s five times thicker than vinyl! It puts an end to moisture and rot from rain, snow and humidity and because its impact-resistance against hail and windblown debris, James Hardie Fiber Cement Siding is specified by building codes for homes built in hurricane, tornado and wildfire-prone districts. Purchasing a one-siding-fits-all product is not the way to go, so reach out to McGlinch & Sons at: (248) 987-6300 and we can help. With James Hardie Siding scraping and repainting is a thing of the past!